Brilliant Color Throughout Summer and Fall! Bred to stay shorter and bloom longer, these orange, red, yellow, white and pink blooms outlast all others in containers and borders. 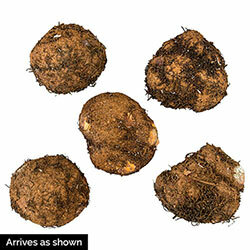 Planting Instructions: 1-2" deep and 10-12" apart, in northern climates, full sun is recommended. 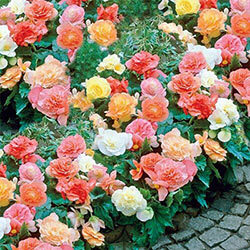 Soil Requirements: Never let the soil dry out, Begonias love moist soil. Winter Care: Hardy in zones 8-10; in all other zones, lift bulbs in the fall and store in a cool, dry place where they won't freeze.